Are you ready to say goodbye to emotions or habits that are no longer serving you? Do you still have some unwanted shadows of 2018 lingering around? Is that a yes? Then maybe it’s time to open yourself up to the new and refreshing beginnings that 2019 has to offer. Full moons provide a powerful time to gather in a ritual to reflect, let go, and call in anew; and as the first full moon of 2019 falls on a lunar eclipse it’s powers are even stronger. 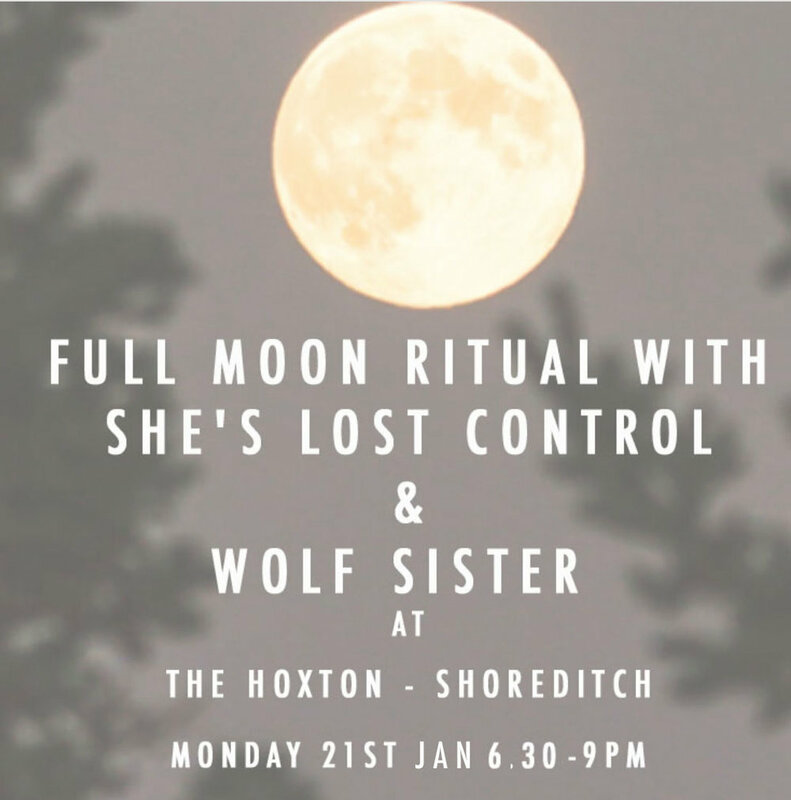 Join East London’s favourite crystal dealers, She's Lost Control, as they introduce you to the power and playfulness of the Leo Full moon and welcome their soul sister and shamanic healer Wolf Sister who will lead you through a heart-opening, cleansing and ritualistic meditation harnessing the power and courage that lies within the Leo Full Moon. Wolf Sister, author of The Crystal Code, will introduce you to the cosmic healing benefits of Green Calcite – the perfect crystal to clear out the old and get us ready for new beginnings. Everyone will get to take their fully charged new crystal home with them to keep making magic for the year ahead. This is a collaborative event where we all create this circle together, strengthening the power of our intentions. It’s a safe space to share, be heard and to have fun. Please bring a notebook and pen. Everyone’s welcome… first-timers or to seasoned manifestors!